Many people will say that there is no such thing as the Perfect Kitchen. I strongly believe that there is a such thing as the ideal Kitchen. The Perfect kitchen is really the kitchen that in your heart you believe is perfect. For many people finding the perfect kitchen is a thing out of dreams. I will tell you how you can find the perfect kitchen and why if this is your desire you should come visit our state of the art showroom. At Supreme International we have hundred of Granite and Quartz slabs in inventory at any given moment. We have many different types, styles and colors of cabinets. We have something for every type of budget, from low end to high end. With these many options the combinations are almost limitless. We have literally thousands upon thousands of options and combinations that finding the right combination is actually possible. 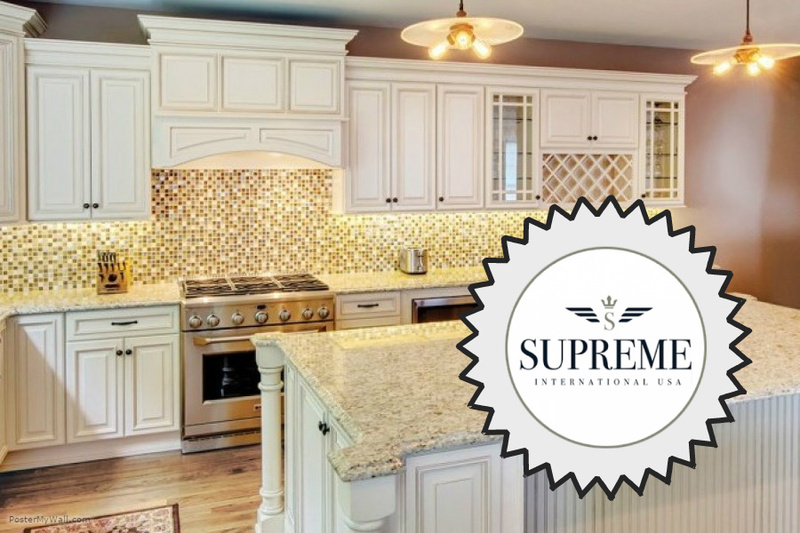 The days of not having options are over and at Supreme International we will work with you throughout the process and help you find that true perfect kitchen. Even if you are not in the market for a new kitchen you are more than welcome to come tour our showroom for inspiration and ideas. I dare you to come visit our showroom and not be impressed. Remember if your kitchen is not Supreme then it is not the Kitchen of your dreams.